There is no doubt that home remodeling can be very exciting. Rieck Construction is passionate about being part of this process. When you live in a home for years, you begin to see all sorts of interesting and intriguing possibilities for changes and updates. Our logo includes the words, “Building Your Dreams is Our Priority,” and this motto and philosophy applies to our home remodeling projects, just as it does our new home construction projects. When you opt for Rieck Construction to handle your home remodeling needs, you can be sure that your remodeling or room addition will look as though it was always part of your initial home design! Our in-house team can work with your budget to help you turn your existing home into your dream home. Our team can also walk you through the entire process including designing all the remodeling work and even taking you through the interior design process. Further, we can also bring in the talent of some of the best architects and interior designers in the business. We don’t work with architects and interior designers who offer the lowest costs, but instead choose proven and reliable partners that show dedication to reputation and workmanship. This is how we ensure that our work for you is always of the highest caliber and quality. When you opt for Rieck Construction for your remodeling needs, you can expect the same level of attention and care for detail and customer that you would receive if you were building a new home with us. This means that you can expect a high level of involvement from owner and founder Michael Rieck who works on job site to manage each and every project we take. This attention to detail and care is part of what helps Rieck Construction stand out from the crowd. Over 30 years of home building experience means that we intuitively understand what our clients want from a custom built home or a home remodeling project. Remodeling a home is an evolving, ongoing process, but one that yields a great sense of accomplishment and satisfaction when the job is done right. Through this collaborative effort, we can remodel your home on time, on budget and achieve an end result that will meet or exceed your expectations! The decision to remodel your home can be an exciting one. 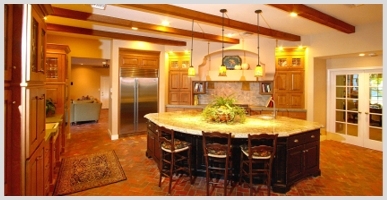 Our extensive experience in home remodeling means that we know what it takes to achieve results. Our home remodeling work will increase your home’s value as well as your quality of life. Sometimes we all need a little extra room. When this happens to you, turn to Rieck Construction. We can add extra rooms to your home in such a way that new rooms will look like part of the original home design. For many of us, the kitchen is indeed the heart and soul of the home. Rieck Construction loves seeing old kitchens come back to life. Take advantage of the latest in materials and appliances and, in the process, reinvigorate your entire home. 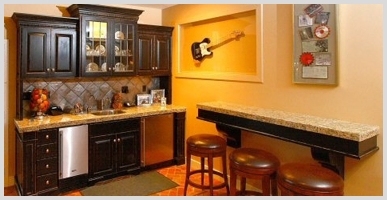 Our remodeling work can serve to transform your home. Bathroom remodeling can be a quick way of giving your entire home a new feel and a new level of functionality. Our in-house team can help design your dream bathroom to the last detail. Contact us today to learn more. Few home remodeling or home addition features can be quite as exciting and rewarding as the addition of a home theatre. A home theatre can allow you to get the most out of your day-to-day entertainment, while at the same time giving your home that little extra “something” for your next party or get together. Just as fine wine is an art, the same can be stated for a well-designed and properly built wine cellar. A great wine cellar is, in fact, an investment designed to protect your investment in the pleasure of fine wine. The addition of a custom pool to any home is beautiful, function and increases the enjoyment of your home for your family and guests. We can accommodate virtually any custom pool request or idea. Rieck Construction wants to bring your dreams to life and that includes your dream of floating in your own custom pool. Living in Arizona provides some of the best year round weather in the country. Take full advantage of all of your property be including an outdoor living space to complement your home. We can turn your outdoors into a desert paradise. Read more Home Remodeling Reviews here.